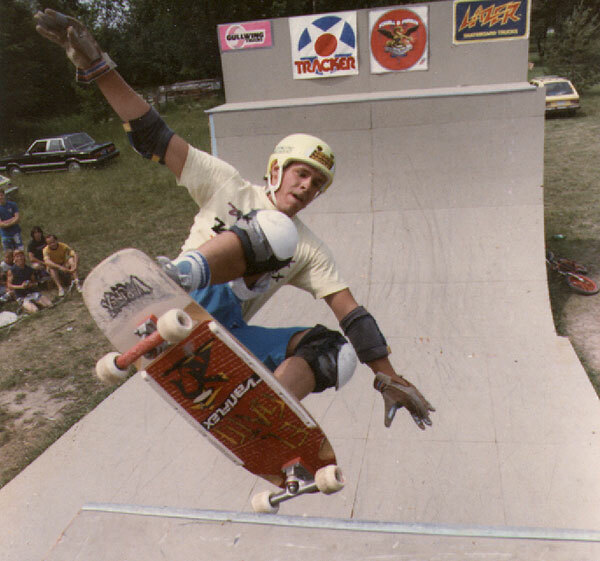 So Hadley goes... "I've come across some pictures of skaters and I'm not sure who these guys are or where this ramp is." So I check it out.. and this is what he came across. Dig it!... 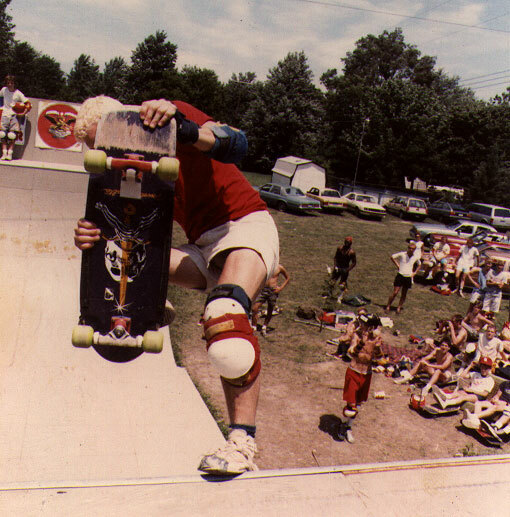 "Dude Ramp" contest action sometime in the mid '80s. is that front wheel touching the coping!?! ?